15 GENUINE Tiger tips, laminated with VACULAM process and made out of eleven layers of either pig skin for the medium and hard tips and cow hide for the soft. Tiger Laminated Cue Tips give the players the most choices on hardness, playability or control. The Soft Tiger tips, made of white color cow hide, give the player all the benefits of a soft tip without mushrooming much. Both of the Medium and Hard Tiger tips have dark brown color and are made with two different type of treated pig skins. By using the natural characters of the leather, Tiger are able to achieve better consistency and maximum control on the specific hardness. Each hardness is then checked with a DUROMETER tester for the range. 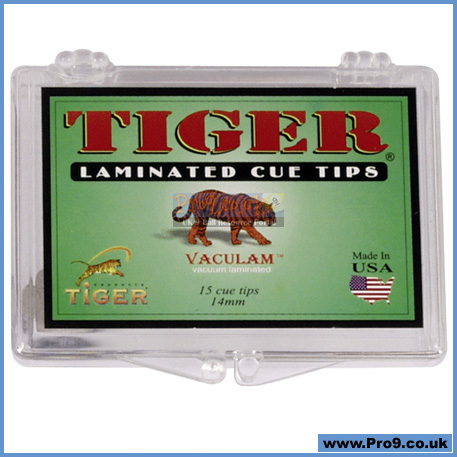 Tiger Laminated Cue Tips, play with one and IMPROVE YOUR GAME! *N.B. 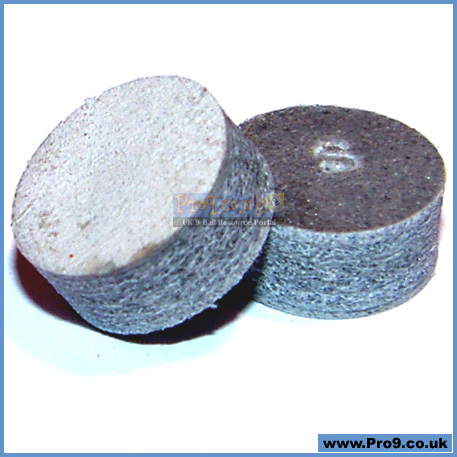 Tiger Soft Tips are grey (pictured), Tiger Medium are brown, and Hard are dark brown.